Listen to a interview with Francis on the Pet Buzz with Petrendologist Charlotte Reed and Dr. Michael Fleck, DVM. 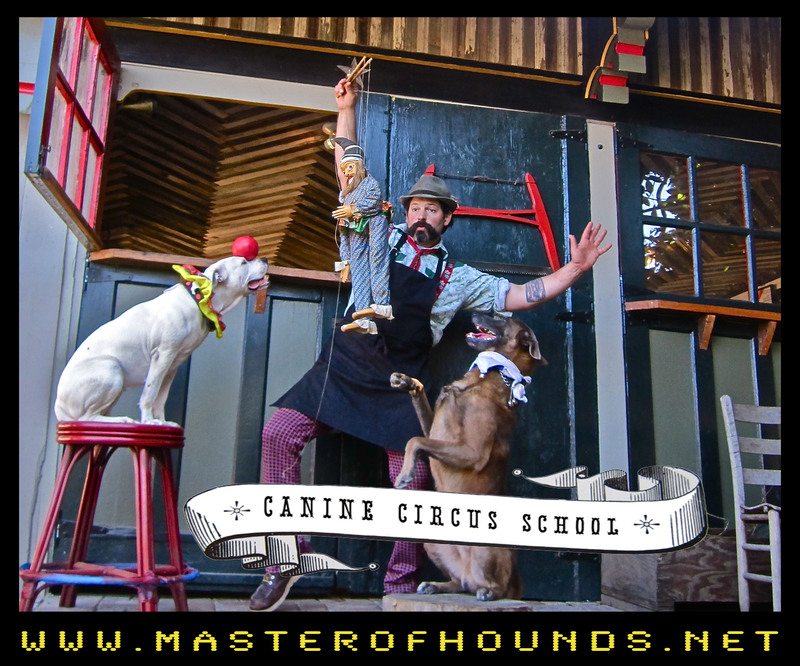 Check out the article about Canine Circus School in The Bark magazine’s winter edition! A lot of people come up to me and want to be dog trainers. You can not just love dogs to be a trainer; you need to be dedicated to them. Not just one, because it’s easy to get won over by an individual dog. You need to love the species. It’s like every dog in the world shares one heart, and your job is to make sure that heart is as healthy as possible. 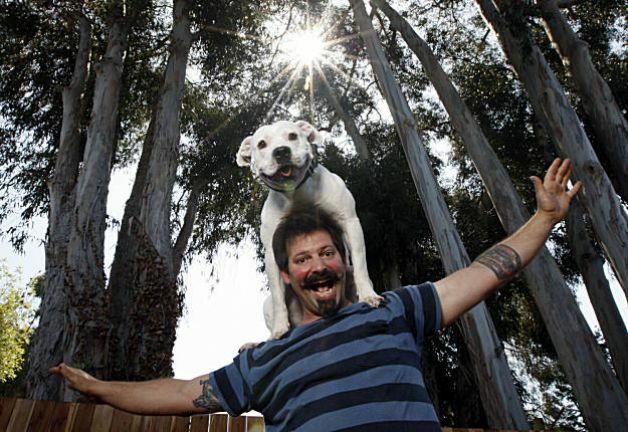 Canine Circus School on a national radio broadcast called America in the Morning. Listen below. 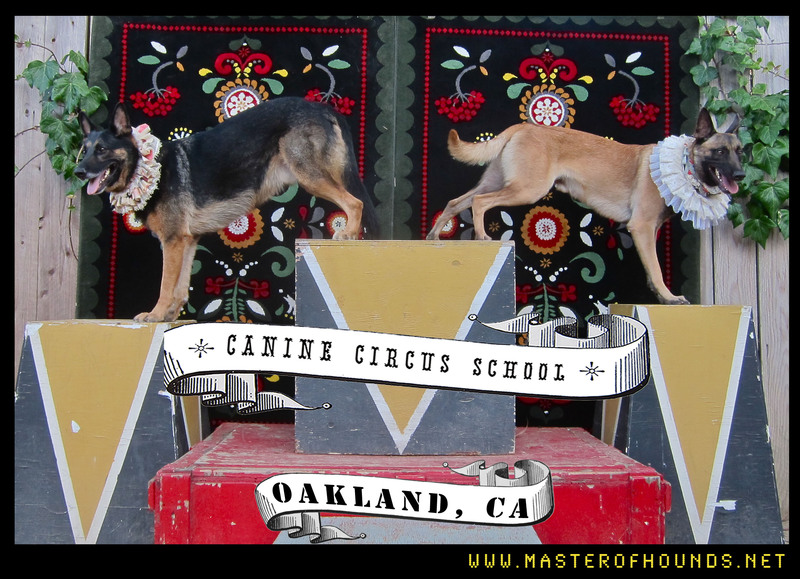 Canine Circus School on the Radio! 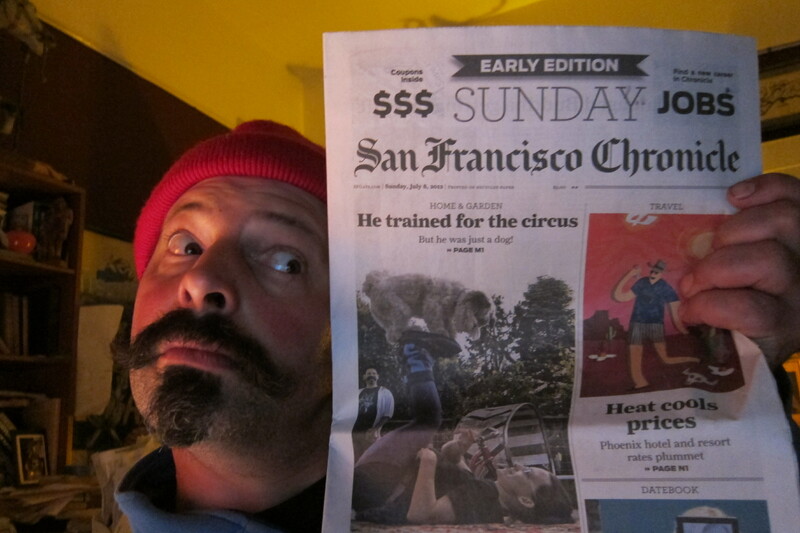 Check us out on the front page of the San Francisco Chronicle Sunday edition. Design and decor aside, the instructor himself, built like a Victorian weight lifter and mustached accordingly, is not without flair. During class, to the tune of a Django Reinhardt recording, Metcalf stalks the training yard in tiger-striped cowboy boots, periodically shaking pom-poms, tooting a hand horn or rolling out “the German Wheel of Death” – an oversize hamster wheel used for advanced routines. Read more from Oakland Magazine here. This is a piece that appeared in the San Francisco Guardian, mostly about our dog sport club called Saint Roch’s. For Metcalf, training is not just about good behavior. Whether it’s a dog, a chicken, or a fish (and Francis has trained them all), the goal is to reawaken people’s ability to dream, and to imagine what animals may be capable of. Pictured Below: Francis Metcalf working at UCSF Children’s Hospital. Read article here. Watch CBS news piece here. Francis is someone I’ve known for nearly 20 years now and I can honestly say he is a uniquely gifted man who always advocates for dogs. They love him. Adore him. Can’t get enough. When Francis walks into the room my dogs act like it’s Christmas morning; and it is, because he always gives them the gift of his full attention and works to make every interaction with dogs as positive fun as possible. I’ve not met anyone quite like him in dogs. 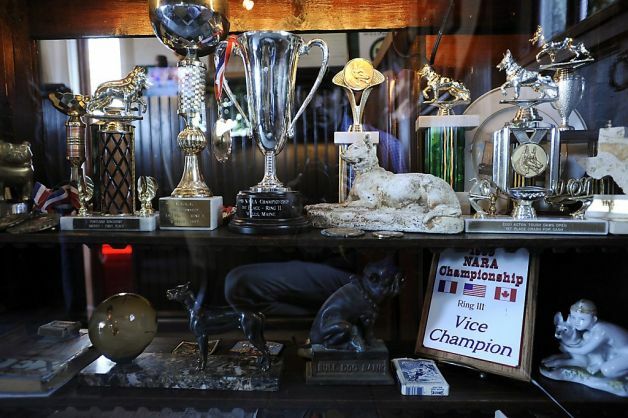 Check out our dog sport club on Gypsy Gentlemen, a tattoo history and travel log. We start at 5:00. Watch here. There lives in Oakland a master of hounds. A man so enchanted with dogs that he has learned to speak their language. A man so talented that he can even enchant their people. He has boundless passion, drive, talent, and such chutzpa that there is no behavioral problem too great or too small for him to resolve. He’s acquired some of his canine alchemy skills from venerable sages in France and even traveled to Italy to engage in such ancient rites as truffle hunting. And his resume that reads like a page from a Hollywood gossip rag. Meet my friend, fellow competitor, and professional dog sorcerer: Francis Metcalf.